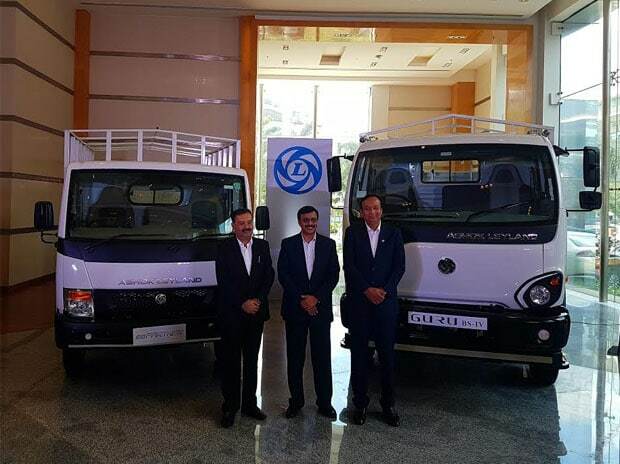 Ashok Leyland's LCV 'Partner' (Left). File photo The initial hiccups with the Goods and Services Tax (GST) notwithstanding, the new tax regime is already fuelling growth in the light commercial vehicle (LCV) market, India’s second largest commercial vehicle maker Ashok Leyland Limited has said. Against the five per cent dip experienced in the medium and heavy commercial vehicle space in the country, the LCV market is growing by 18-20 per cent after the implementation of GST in July 2017, Ashok Leyland President (LCV) Nitin Seth said. "Since the domestic automobile market is still experiencing some irritants related to the implementation of GST, once these are ironed out, the LCV segment would be the biggest gainer," he claimed. Seth further said that in countries where GST was already in place, the LCV space comprised almost 70 per cent of the commercial vehicle market, while in India, the segment was still at 60 per cent, thus indicating its future growth potential. Seth explained that GST has removed the interstate tax barriers, which has helped companies in their logistical and infrastructure requirements. In effect, multiple warehouses were not needed anymore. "Big trucks transport goods to a particular state and later LCVs take over for the intrastate distribution, thus boosting the truck segment in a big way," he added. Currently, Ashok Leyland has a market share of roughly 40 per cent in the commercial vehicle space, while commanding a share of about 15 per cent in the LCV segment, which the company is focusing to increase with new product launches. Seth was in town recently to launch Dost+, the new LCV from the stable of Ashok Leyland, the flagship company of the Hinduja Group. In fact, the company had entered the LCV space with Dost, which has now been upgraded and refurbished. It has a payload of almost 1.5 tonnes and, in Lucknow, a price tag of Rs 5,65,000. "Uttar Pradesh is an important market for us and contributes the fifth largest volume of our LCV category sales. The state has a lot of untapped potential and we are confident of increasing our share of the pie further with the new products," he said. The company has a network of 14 dealers and about 40 sales touch points in UP. Ashok Leyland operates an LCV production unit at Hosur, in Tamil Nadu. It has another unit at Pantnagar, in Uttarakhand, for the medium and heavy commercial vehicle segment.